Electromagnetism is fundamental to the whole of electrical and electronic engineering. It provides the basis for understanding the uses of electricity and for the design of the whole spectrum of devices from the largest turbo-alternators to the smallest microcircuits. This subject is a vital part of the education of electronic engineers. Without it they are limited to understanding electronic circuits in terms of the idealizations of circuit theory. The book is, ﬁrst and foremost, about electromagnetism, and any book which covers this subject must deal with its various laws. But you can choose different ways of entering its description and still, in the end, cover the same ground. 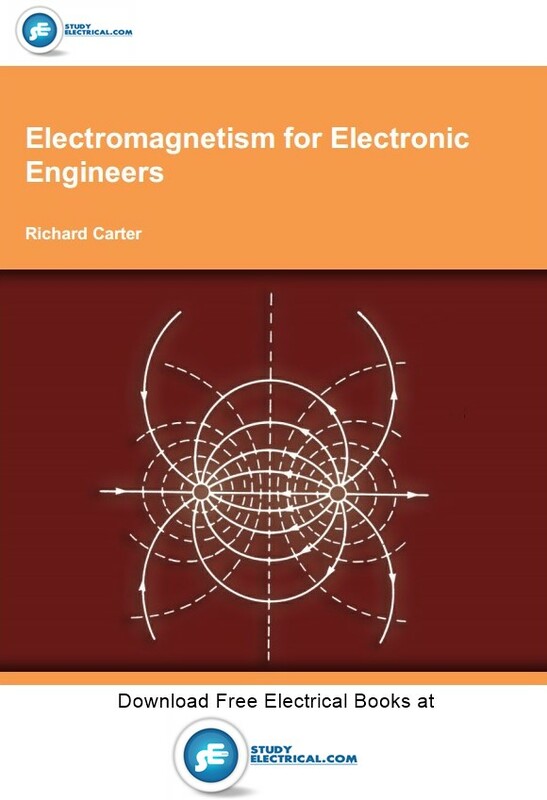 The book has chosen a conventional sequence of presentation, beginning with electrostatics, then moving to current electricity, the magnetic effects of currents, electromagnetic induction and electromagnetic waves. This seems to me to be the most logical approach. Secondly, this is a book for those whose main interest is in electronics. The restricted space available meant that decisions had to be taken about what to include or omit. Where topics, such as the force on a charged particle moving in vacuum or an iron surface in a magnetic ﬁeld, have been omitted, it is because they are of marginal importance for most electronic engineers. The book also omitted the chapter on radio-frequency interference which appeared in the second edition despite its practical importance. Thirdly, the book is written as a book for engineers. On the whole engineers take the laws of physics as given. Their task is to apply them to the practical problems they meet in their work. For this reason I have chosen to introduce the laws with demonstrations of plausibility rather than formal proofs. It seems that engineers understand things best from practical examples rather than abstract mathematics. I have found from experience that few textbooks on electromagnetism are much help when it comes to applying the subject, so here we have tried to make good that deﬁciency both by emphasizing the strategies of problem-solving and the range of techniques available.